JOHN POOLE is a Distinguished Software Engineer at Hyperion Solutions and a coauthor of the CWM specification. DAN CHANG is a member of the Database Technology Institute at IBM and a coauthor of the CWM specification. DOUGLAS TOLBERT is a Consulting Engineer at Unisys Corporation and a coauthor of the CWM specification. DAVID MELLOR is a Consulting Engineer at Oracle Corporation and a coauthor of the CWM specification. Chapter 2. An Architectural Survey of CWM. Chapter 3. 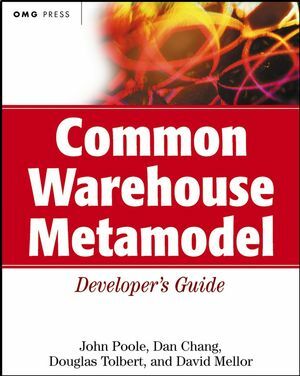 Modeling Meta Data Using CWM. Chapter 4. Meta Data Interchange Patterns. PART TWO: INTRODUCING THE VERTICAL MODELS. Chapter 5. Data Warehouse Management Model. Chapter 7. Web-Enabled Data Warehouse Model. Chapter 8. Meta Data Repository Model. PART THREE: IMPLEMENTATION AND DEPLOYMENT.